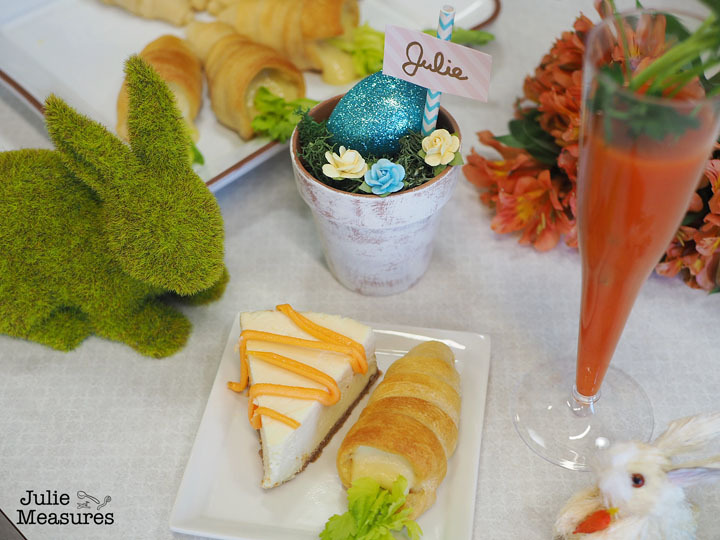 Hosting an Easter brunch? 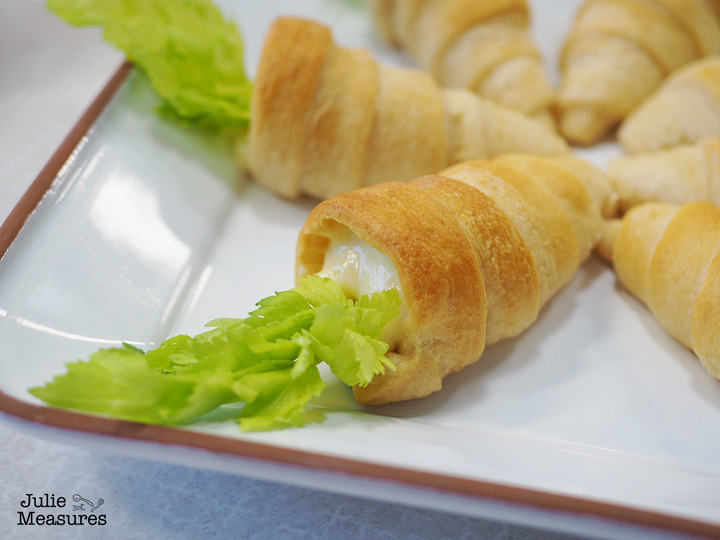 See how easy it is to make these scrumptious Crescent Roll Carrot Appetizers! You say Easter, I say brunch. This is the time of year where all I want to do is enjoy a meal with some friends in the beautiful sunshine. 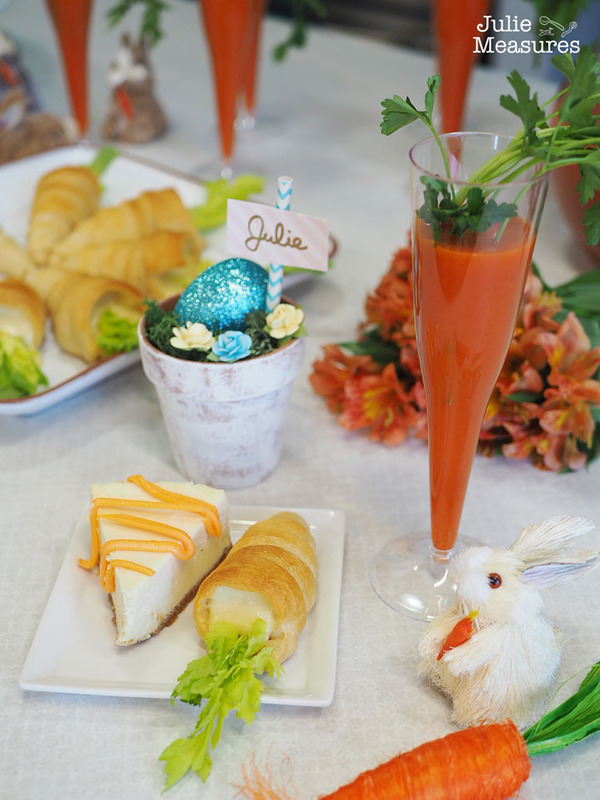 While the kids are busy with Easter Egg hunts you can put together a beautiful brunch for friends and family that looks amazing but is easier than you think. 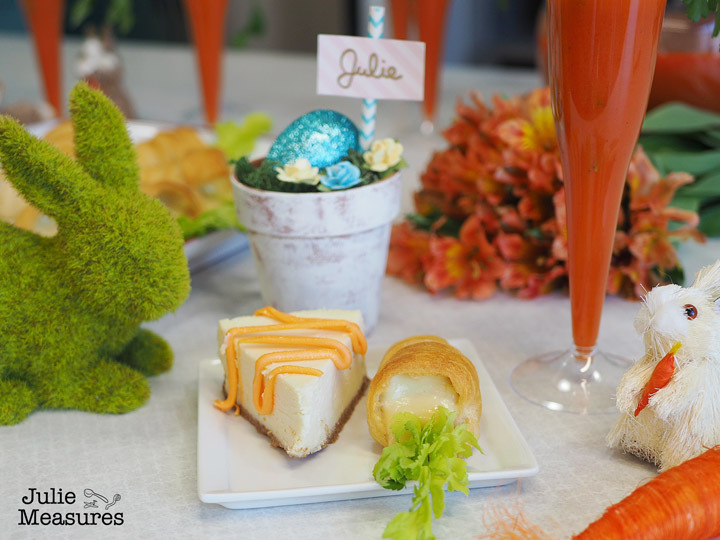 While I do lots of egg related treats and food every Easter, including my grandmother’s famous deviled egg recipe, this year I’ve decided to do a carrot theme. 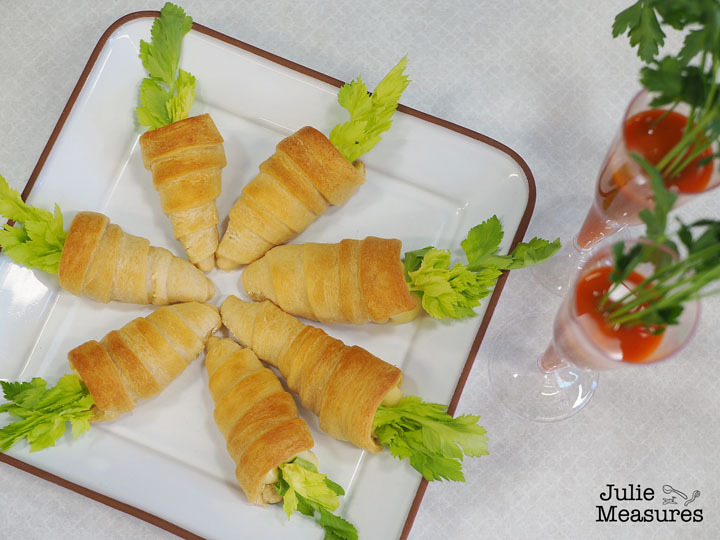 And it all starts with these crescent roll carrot appetizers. The base for the carrot appetizers comes from a can of crescent roll dough. Crescent roll dough has been my secret ingredient for several project lately. (I even used it to make a Chocolate Hazelnut Snowflake.) I bought the crescent roll dough that is one large sheet, but if you have a can of normal crescent rolls you can roll it out and press the edges together to form one sheet. Use a knife or pizza slicer to cut the dough into 8 long strips. Use aluminum foil to create cone shapes. 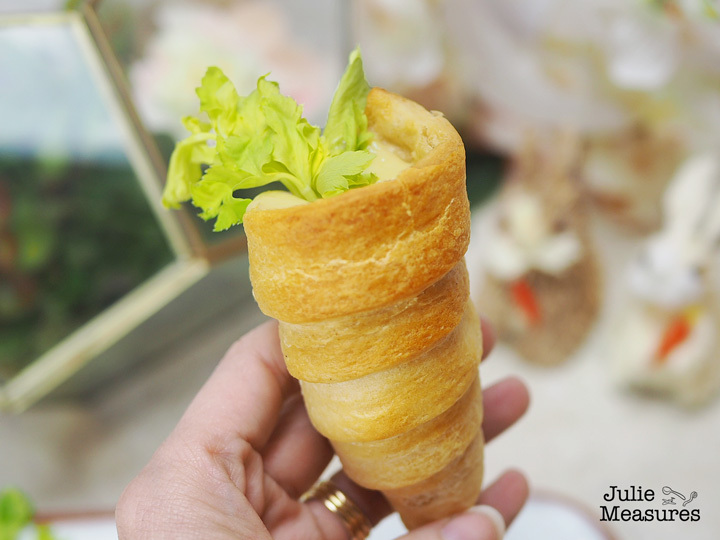 If you happen to have some waffle cones in your pantry you can use those as a form, but it was actually fairly easy to freehand the shape as well. Create the cone shape and fill it with some balls of foil as well, to give it some stability. 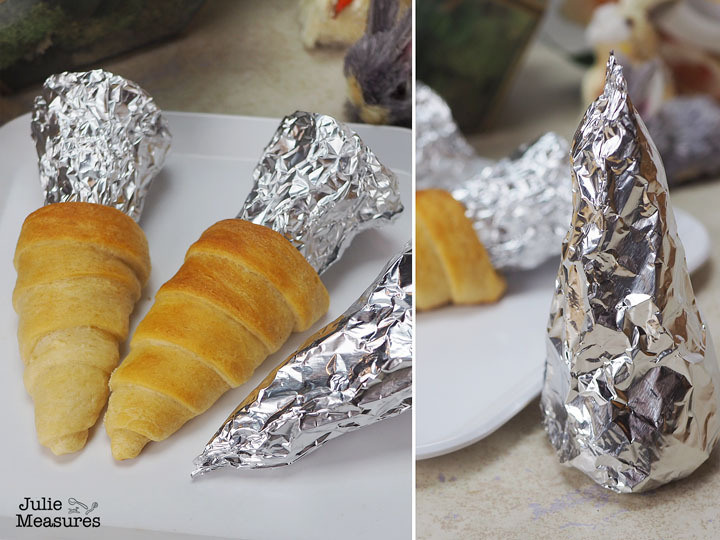 Spray the foil with some non-stick spray and then wrap the crescent roll dough and bake in the oven. Use the temperature indicated on your crescent roll dough directions, and bake for slightly less time than indicated. Pull them out when they are nice and golden on top. 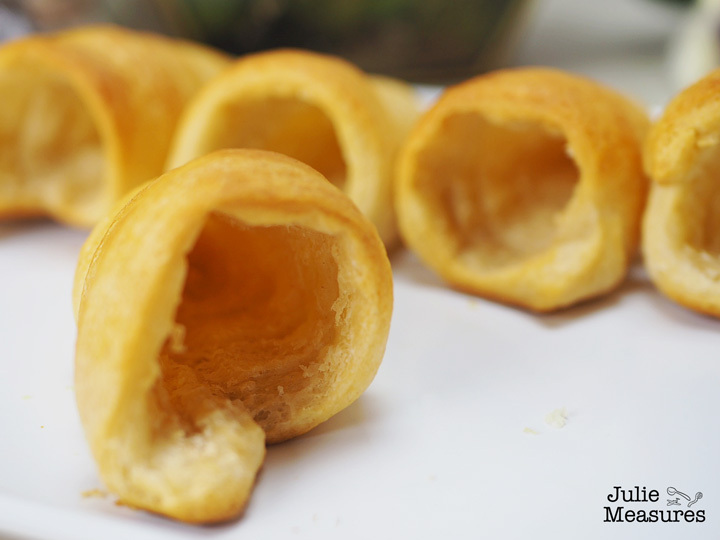 Allow to cool slightly and then remove the foil from the center of your crescent rolls. You might want to squeeze the foil and twist to remove it without pulling too much on the rolls. Once your crescent roll carrots are baked you can fill them. The beauty of these appetizers is that you can make them sweet or savory, or a combination of both! For mine I decided to create a sweet appetizer and fill them with a lemon flavored creme patissiere. I started with my base creme patissiere recipe and then added into two heaping tablespoons of lemon curd. 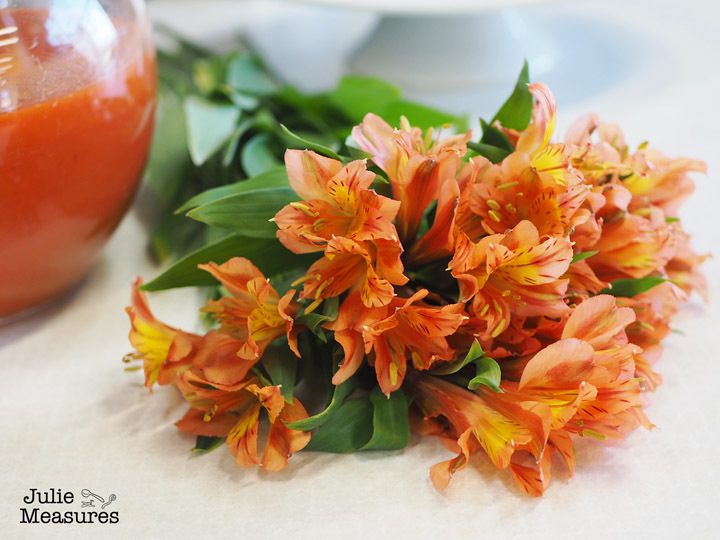 It gives the creme patissiere a beautifully subtle lemon flavor that is perfect for spring. 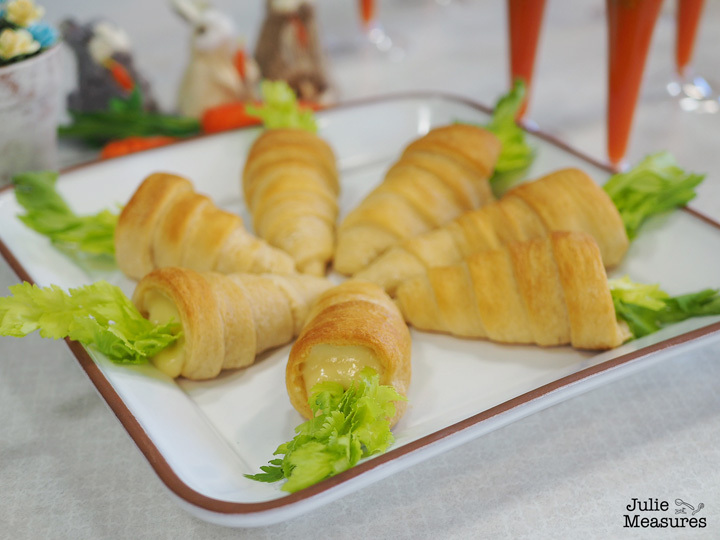 Pipe the lemon creme patissiere into the carrot crescent rolls and then garnish with a green sprig, I used the tops of some celery as that is what I had on hand. These would also be delicious filled with an egg or tuna salad, is you prefer a savory option. 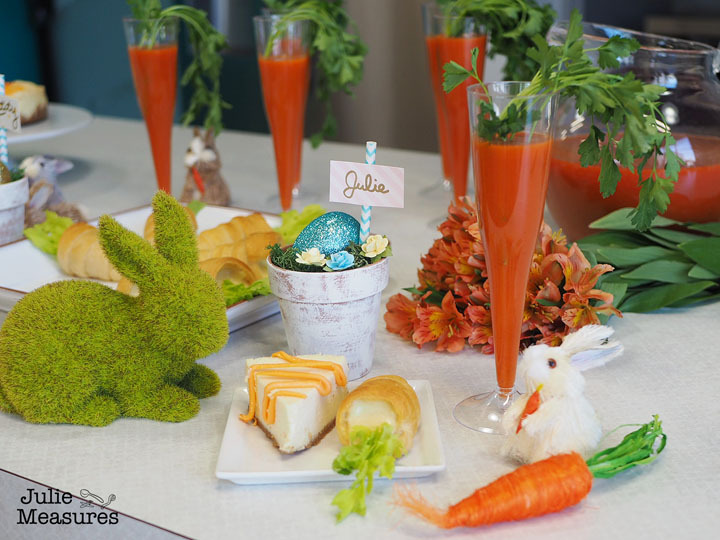 The crescent roll carrots weren’t the only carrot themed treat at our Easter brunch. 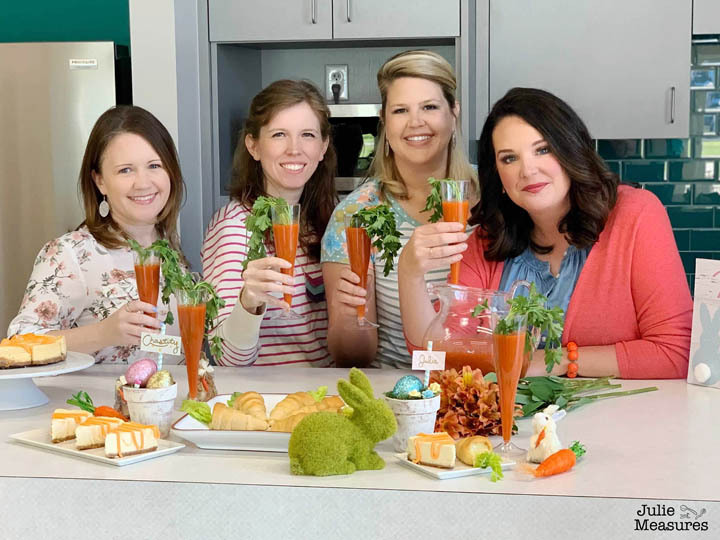 Click below to discover how to make the carrot drinks, carrot dessert, and the sweetest Easter place settings from a few of my favorite bloggers. Shannon from Everyday Best shared these beautiful Bloody Mary Carrot Cocktails. You’ll love to say ‘cheers’ with these drinks at brunch! 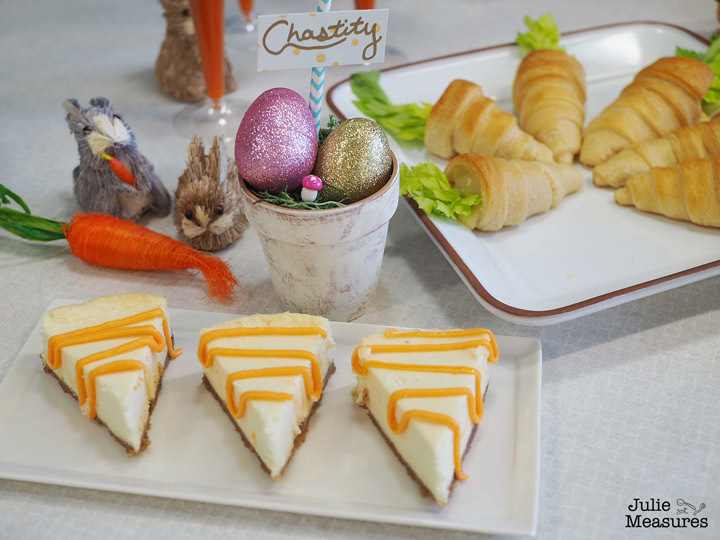 Chastity from A Cowboy’s Life blog shared a delicious Easter cheesecake. 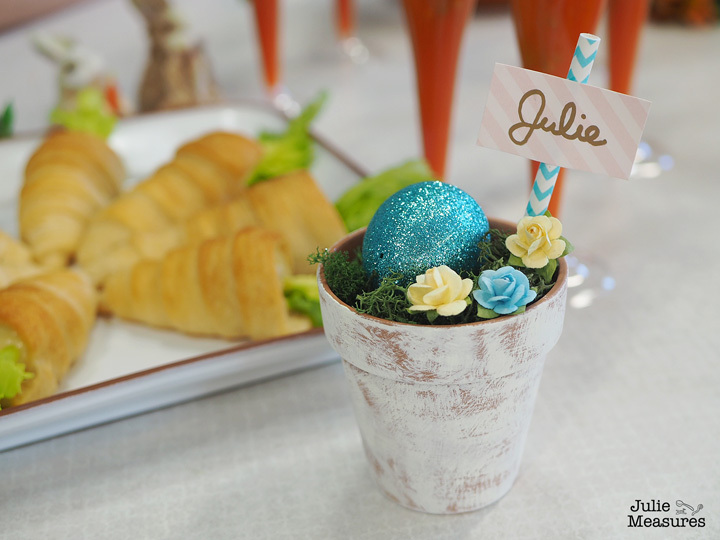 Dwan from Life Family Joy put together these adorable Dollar Tree Farmhouse Easter Decor place settings. 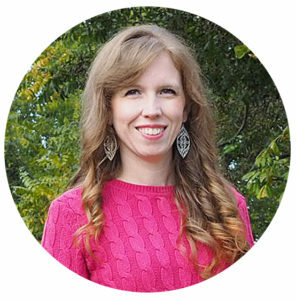 Looking for more Easter projects? Check out these Eggshell Terrariums or Chocolate Easter Bunny Cake!